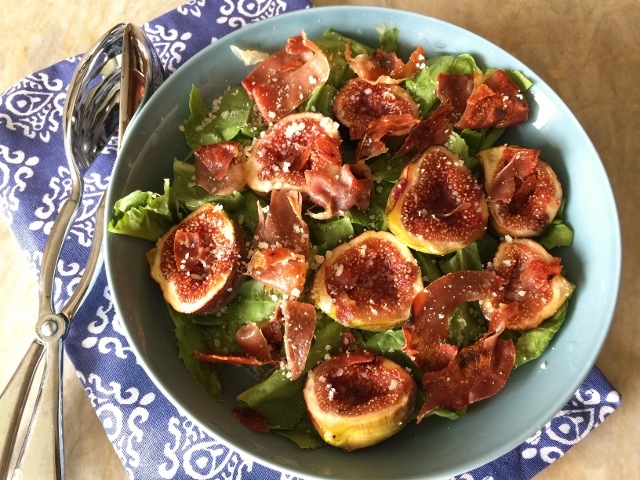 Honey Figs & Crispy Prosciutto Salad - Recipe! - Live. Love. Laugh. Food. 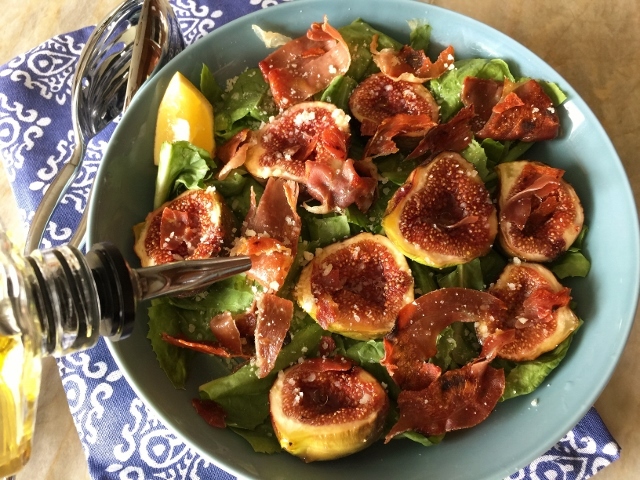 Honey Figs & Crispy Prosciutto Salad – Recipe! I just got back from a fabulous vacation in Alaska to find my fig tree loaded with fruit. 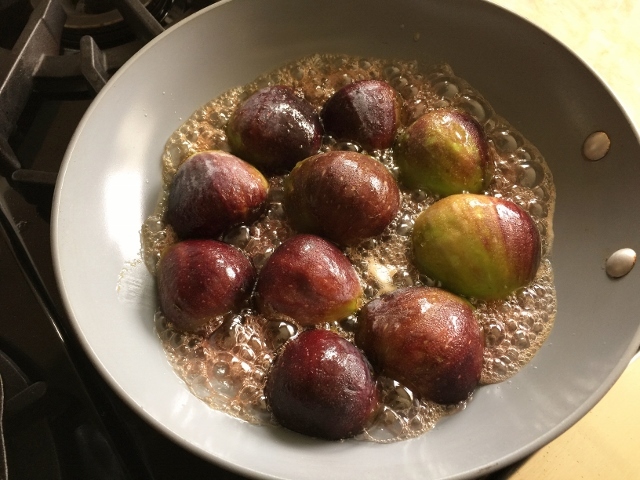 I have an Italian varietal, as I was told, and it produces figs a few times a year, which bring much joy and recipes to my cooking repertoire. 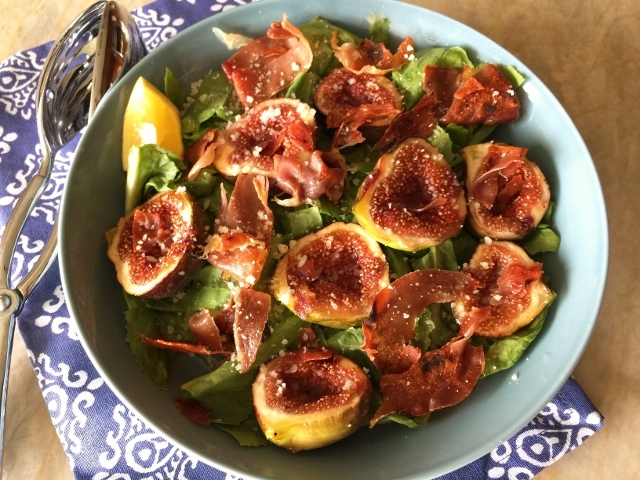 With some of this delicious fruit, I decided to prepare a scrumptious Honey Figs & Crispy Prosciutto Salad to enjoy. 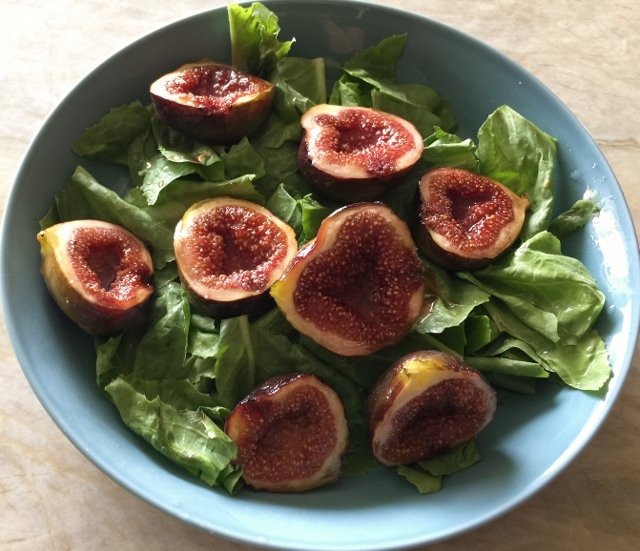 Figs come in many varieties and each of them are slightly different in taste and texture, and any fresh figs will work in this recipe. Figs are beautiful on their own, but warm honey enhances the sweetness of the fruit and softens them slightly, which adds to the already juicy consistency. 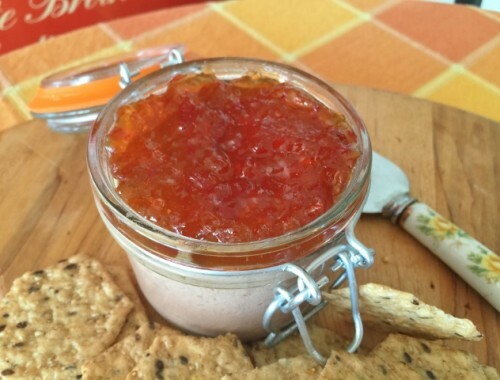 I like to pair sweet with salty when I can and this recipe is a nice example of that. 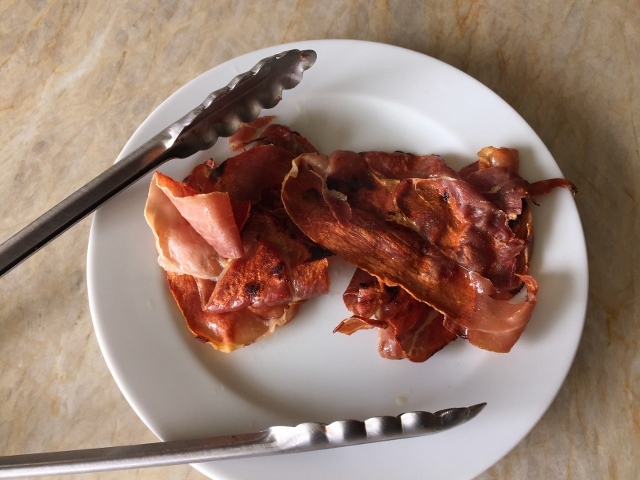 The crispy prosciutto heightens the flavors of the figs and creates a nice balance. Just a little squeeze of lemon over the greens for added tang and a drizzle of good olive oil and you have yourself a very nice dish. 1. 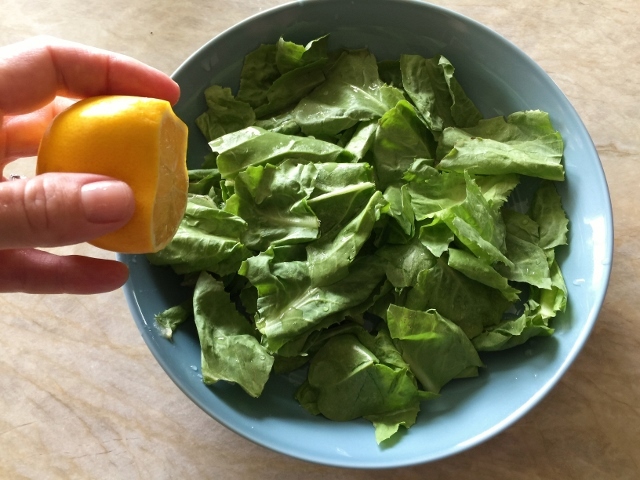 Tear lettuce into a large serving bowl and drizzle with 1 tablespoon lemon juice. 2. 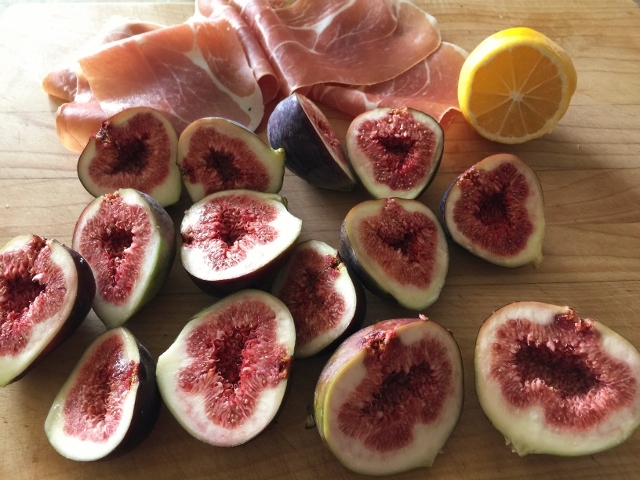 Slice figs in half and remove prosciutto from packaging. In a saute pan, add the honey and place over medium heat. When the honey is lightly bubbling, add the sliced figs, cut side down. Cook for 4 minutes for until slightly softened. 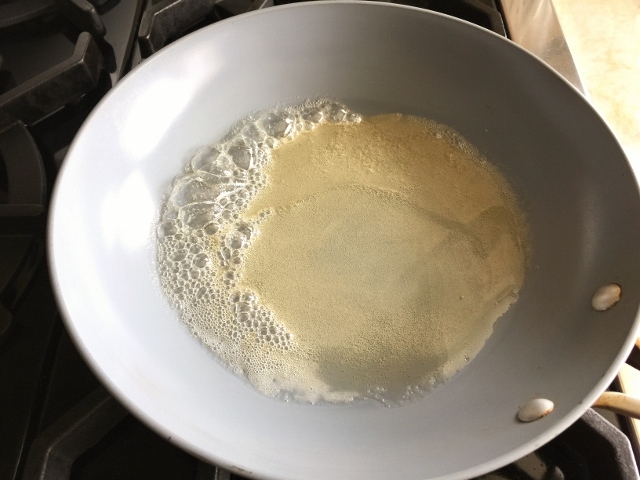 Remove from heat and rest in pan for 3 minutes. 3. 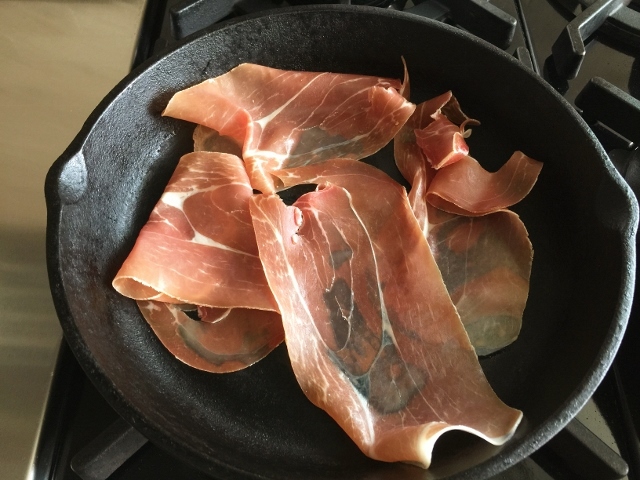 In a separate pan over medium heat, drizzle with 1 teaspoon of olive oil and add prosciutto. Cook until crispy and lightly brown. Remove from pan and place on a plate to cool. 4. Place figs on top of greens. Break prosciutto into large pieces and add to top of salad. Sprinkle with parmesan cheese and drizzle with 1 tablespoon lemon juice and remaining olive oil. Enjoy! 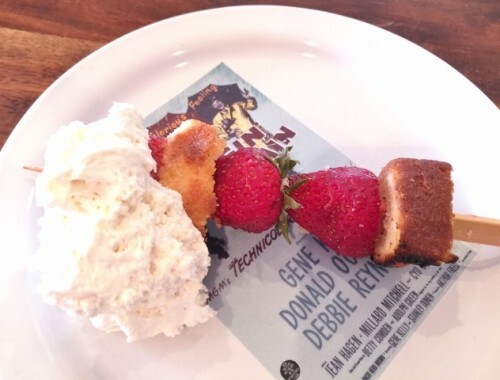 Grilled Strawberry Shortcake Skewers – Recipe! 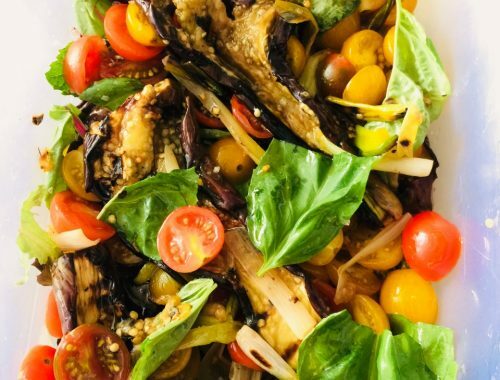 Grilled Eggplant Salad – Recipe!